Sited within a congested section of Neath Road. Measurements are undertaken utilising Differential Optical Absorption Spectroscopy (DOAS) along an open path of 250m within the section of Neath Road from its junction with Maliphant Street up to a point near the junction with Bowen Street. 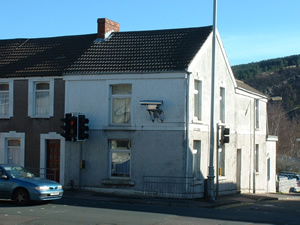 A xenon lamp is shone from the transmitter which is located on the front wall of a property on Maliphant Street/Neath Road, with the receiver being located at a commercial premises 250 metres away. The receiver focuses and transmits the light via fibre optic cable into a spectra analyser. Concentrations are reported integrated over the path length and are therefore not directly comparable with fixed point measurements.